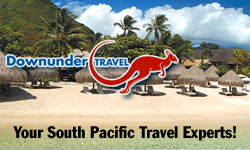 One of our sponsors, Down Under Travel, has some great bargains on for trips to Australia right now. Check out their deal with the link in the right column of this website, or at this URL. This entry was posted in Tourism and tagged Down-Under Travel on May 26, 2014 by Hydesmith. Parents: Hudson’s mother Aurora resides at the Toronto Zoo. His father, Inukshuk, visits the Toronto Zoo for breeding purposes. Diet: Hudson’s diet includes jumbo smelt and herring, carrots, Vitamin E and Thiamine supplements. Nickname: At the Toronto Zoo, Hudson was known as “The Ham”. He could be found gallivanting around his enclosure and entertaining Zoo guests with his hilarious antics. He loves to be the centre of attention. This entry was posted in Invitation, Media, Membership, Tourism, Winnipeg on February 22, 2013 by Hydesmith. This entry was posted in Commonwealth Corner, Murray Burt, Tourism on February 20, 2013 by Hydesmith.